At long last, the Paladins of Voltron have taken a step they've been dreaming about. Recently, fans were taken on a new journey with the pilots when DreamWorks shared the latest season of Voltron: Legendary Defender, and ComicBook got the chance to speak with one of the show's stars. 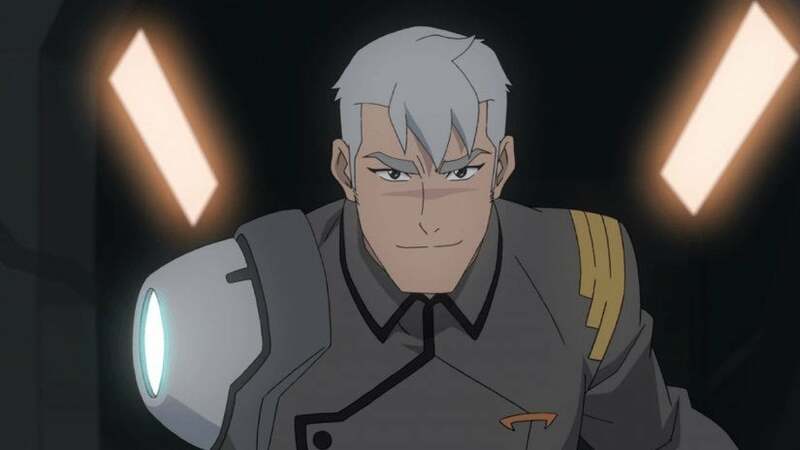 Not long ago, our own Megan Peters chatted with Josh Keaton to talk about all things Shiro. The actor has a lengthy resume, but Voltron lovers will know him best for playing Shiro, one of Voltron's trusted Paladins. As you can see below, the actor opened up season seven's biggest moments as his character came back into focus in a big way. So, first, how did you feel about getting back into the studio to get this season recorded for season 7? Josh Keaton: We record these on a pretty long lead, so we knew that we were going be doing this a while ago. There really wasn't much of a break. We really have just been chugging along and recording episodes. When it's time for the animation to come out, we go in and do ADR and then, before you know, they'd be sending us out to conventions and premiering those episodes. So, it really hasn't felt like it stopped. That being said, it's always a joy to go back into the studio. It's especially a joy having been in the studio, having been a part of what they ended up doing with Shiro, and I know it was planned for a very long time and was hard to keep that under wraps. But knowing that this was going to be the season for such a big reveal, an important reveal. That was exciting from the get-go. So, with Shiro’s big reveal having been announced, how have felt? How has the reception been to this revelation of Shiro’s sexuality? Keaton: It's been overwhelmingly positive. I haven't tried to find any ambiguity because that would spoil it for myself, but I haven't seen anything. Everything has been people happy and so supportive of the direction. I think it's beautiful. I think it's a fantastic film to have that kind of representation in the leader character, in the character that everybody looks up to. Stereotypes doesn't [sic] even play into him. Somebody who, at his core, would do anything to save or protect his teammates — his surrogate family, if you will. I think that he's such a great role model. Just in the short time since it was announced at [San Diego Comic Con], I've been doing some conventions. I've been face to face with quite a few fans since the reveal was done. Sometimes it can be a little overwhelming. I mean that in a very positive way; It's just new territory for me. I never played a character who has this kind of meaning to so many people at this point. I've been Spider man, and he speaks to a very specific person. Shiro speaks to people who have been thirsting for representation for so long. And to see how it's affected people — I wish I could have been there when the first moment happened and everybody got to figure it out for themselves. That would have been amazing, but I wanted that moment to be Shiro's because I didn't really want to distract it with myself. I've had people come up to me at conventions and even reach out to me in social media. [Fans have told me] 'I came out to my family this week and Shiro was just the strength that I needed to do it.' That's what I mean when I say I get overwhelmed sometimes. But sometimes I don't feel like I'm worthy; It's not power, that's the wrong word. It's a being a part of something so important. I still haven't figured out how to process all of it, but it's been amazing. And to be a part of helping somebody discover something about themselves, or make it through a really tough time? It's amazing. It's what we dream of as actors... to be able to profoundly affect somebody's life without having even met them. I'm seeing it happens with Shiro even more so. Before, I had people talk to me about PTSD and how they suffered from PTSD and he's kind of touched on to that. But now he's taken on a whole other meaning. Obviously, we learned more about Shiro and Adam's relationship. As far as we know, Adam is no longer here. He passed when the Galra came to Earth. So, how do you think Shiro is coping with that? Keaton: I'm sure everybody can relate to having a pivotal decision in their life life where both choices are difficult. Both of them have their "pluses." Both of them have their "minuses." And you've got to choose one. There's always going to be that nagging question in your mind, "Did I make the right choice? Was this the right thing to do?" And Shiro is somebody who asks himself that all the time. You can see it. He'll jump head first into danger, but then he'll still have these really reflective moments where he thinks about himself a lot. He doesn't really open up to a lot of people. But [that death has] got to be devastating. 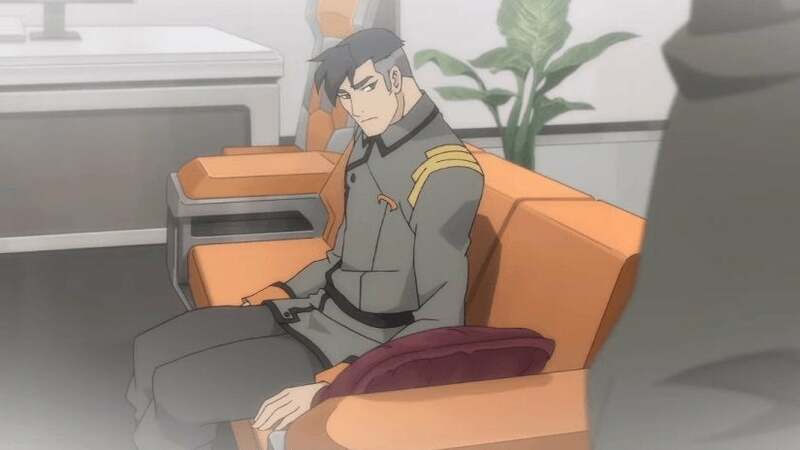 The way I chose to play Shiro because he's so strong everywhere else... because he's somebody that everybody looks up to and follows without question, I really wanted to make the choice that with Adam he wasn't really the one that had to make a lot of those hard decisions. In a sense, Adam kind of took his hand. Even though he still had to leave, it's still got to sting. Especially as close as they were and as deep of a relationship as this was before he left. It's got to be devastating. At the same time, Shiro is somebody that's very pragmatic, and he kind of focuses on the positive and everything. Like, "Yes. This didn't work out, but how can we solve this situation? What is good for this?" I'm not sure if he's really at that point... ready to go quite there and dismiss it that quickly, but he's still going to be getting strength from another power, from his new family. When he comes back home and sees Garrison, yes, much has changed. But there's still a lot of familiarity there. There's still a lot for him even though Adam is gone. I would hope that he could at least take some comfort in the fact that Adam died protecting everybody. The same way that Shiro almost did, many times. They're kind of "peas in a pod". They're very similar characters though their personalities are different. But in terms to their approach to danger and their commitment to helping, they're very much a similar character. Shiro also has some bright points. He has a new arm that's decidedly less Galra than his other. 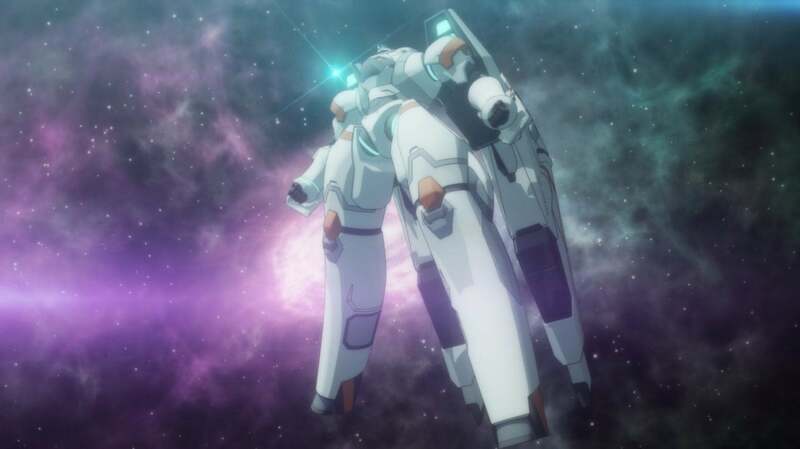 And he gets to pilot the new mecha, Atlas. How did you feel about those moments? Keaton: When I read that in the script, I freaked out! Like, I did not see it coming at all! I assumed it would be kind of like the Castle? I didn't know! I didn't know. I didn't know that it would turn into a mecah. I thought it was going be a ship and that was cool enough, you know? I'm like, "Alright, sweet! Shiro gets a ship! Shiro going to do what was given has life purpose." And I was really excited about that... and then when it started transforming, I totally freaked out. That was one of the coolest things I could have ever expected to happen. Slide 5 of 6Shiro's Knack to... Create? At one point, Allura tells Shiro she feels he was meant to create rather than destroy. How do you think he's taking in that advice with all these new changes he’s going through? Keaton: It is a sudden change, yes. However, I feel like it's the kind of sudden change that Shiro has been prepared for through his life for all of his life. He's ready for it, and he goes into it like a hand in a glove. He picks it up. It's something that's familiar to him both in terms of locale. Also, the role... He's been a leader to this group of young people for years now, and now he's back and battle-proven. He's already helped save the universe. It just makes sense for him to go back to being the leader. Taking that upon himself is something that I've seen be very consistent of Shiro. [Piloting the Atlas] just another instance of that with just a much larger scope. Even though it's a big change, I think that he didn't really have any issues or anything holding him back from it. And not to mention, he did get some pretty horrible news. You know how a lot of people, for coping, they'll get some horrible news and throw themselves into something to kind of get them away from it? But this is also something that brings him joy; leading people and being part of a team. So yes, he's had one big loss. A massive one. But at the same time, that loss did help save everybody else, and he's going to keep taking up that mantle. With Shiro surging back as a leader, the season ends with him addressing the Voltron coalition on Earth. How do you think Shiro's leadership is going to evolve as Voltron comes into its final stretch now? Keaton: Well, he's always going to be needed. That makes me happy because one of my fears was, 'Oh he's not going to get to be a Paladin anymore. He's just going to sit on the sidelines now, and will he get in the game?' Happily, that's not what's going to happen. I love seeing him in more of a role where he still is very much a part of the Voltron coalition, and he still was a Paladin and has that connection. But the team has grown so much through the course of the show, that it's going to be nice seeing the team dynamic. It's the ending I could have hoped for... not necessarily the ending, but it's the direction that I hoped for. That he would still be able to play a very big leadership role without having to be the Black Paladin. Seasons 1-7 of Voltron: Legendary Defenders are now on Netflix for your binging pleasure. Will you be watching? Let me know in the comments or hit me up on Twitter @MeganPetersCB to talk all things comics and anime!